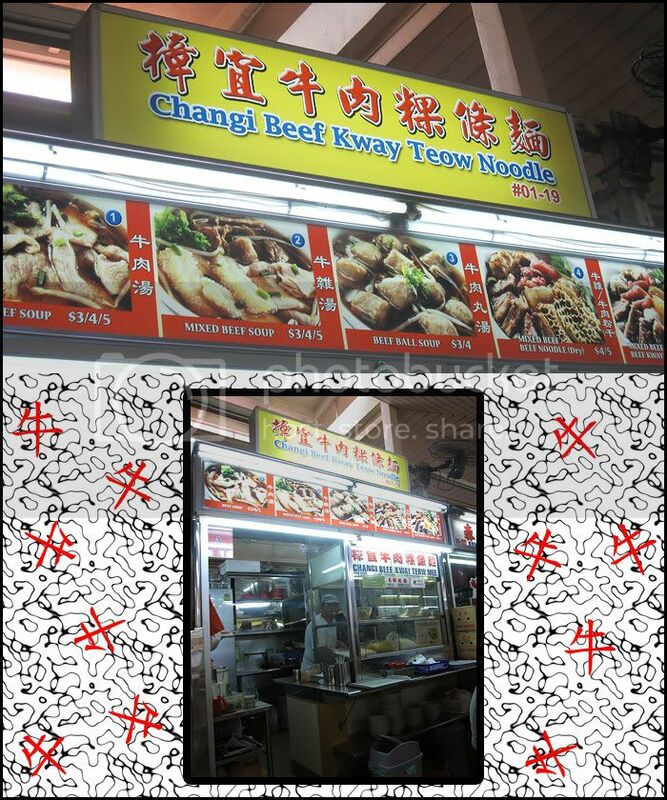 this Beef Kway Teow Noddle is another "famous" attraction at the food centre. I can only do a review on it's beef soup instead of it's signature dish, beef kway teow noodle. 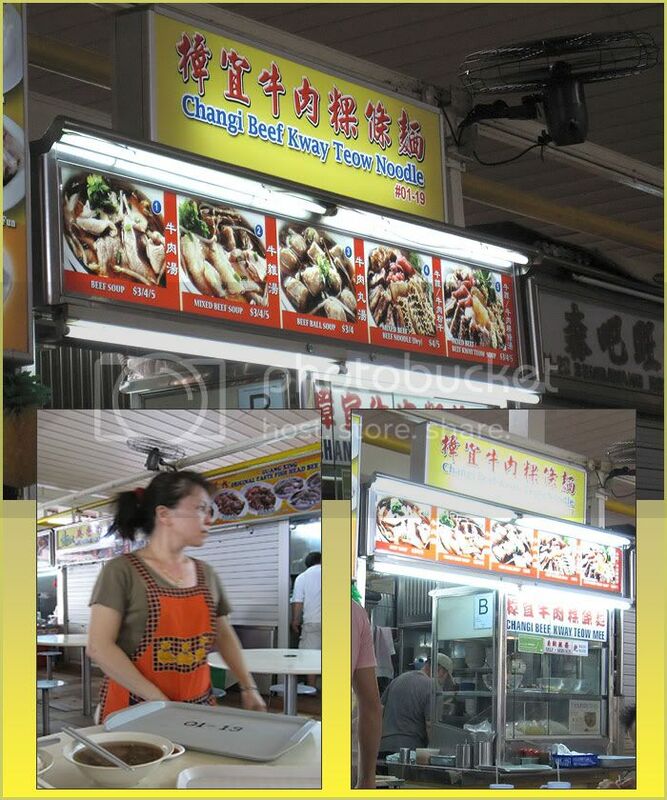 However ... this stall is well known for it's Beef Kway Teow Noodle - the dry version. Heard the secret lies in it's dark starchy gravy ! Open only at 12 noon ... you have to wait if you are too early for lunch. Simon always like to have his beef soup with only meat cut and nothing else plus a bowl of white rice. According to him, the beef sliced thinly and still has this tender bite when you chew on it. Soup is a clear broth ... sweetness of the beef mixed with light herbal spices came through easily. This soup is good for the health conscious as it is oil-free, with most of the grease spooned out. 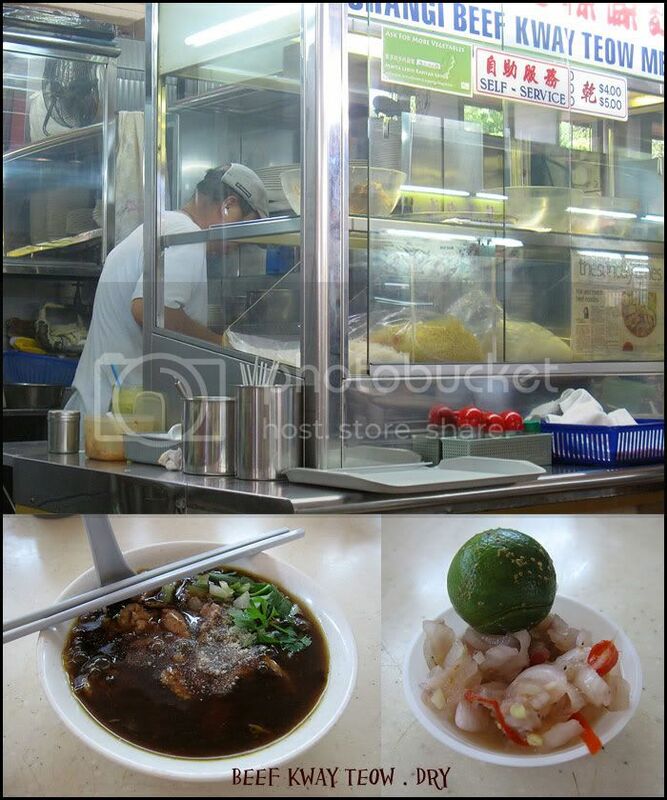 This is Simon's favourite beef soup stall till date. Beef for you Sir ? I remember during my upper primary school years, used to "ta pau" beef kway teow on my way home from school. And happily share it with my pet dog, Bobby. He will get all the beef slices and soup mix with rice. And I'll happily slurp up the kway teow with the remaining soup. Recently ... I was hit by a bout of beef fever. Feasting out at different places, savoring some many different style of beef noodles. Tried a few famous ones. tried the soup version, soup is a little too salty, "giam chai" flavour too strong. 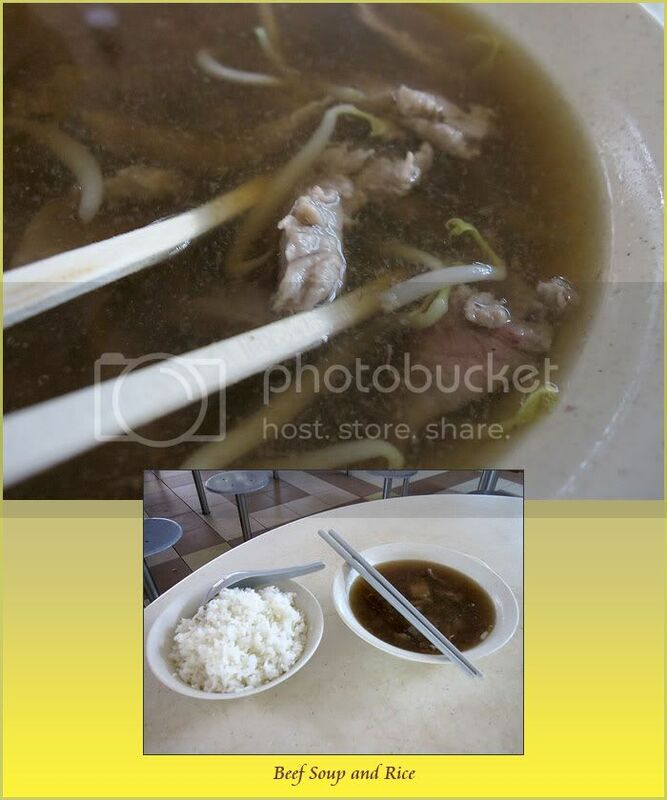 I thought I had order wrongly ... tasted as if you were eating bak kut teh more than beef kway teow ! Soup is so peppery and beef is over cooked ! Though they uses Chinese workers too, at least maintain the standard of "traditional" beef kway teow. But the price is way too expensive ! Changi Beef Kway Teow Noodle at Changi Village Hawker Center ! I used to watch Simon eat from this stall and for years ... I did not try it even once. 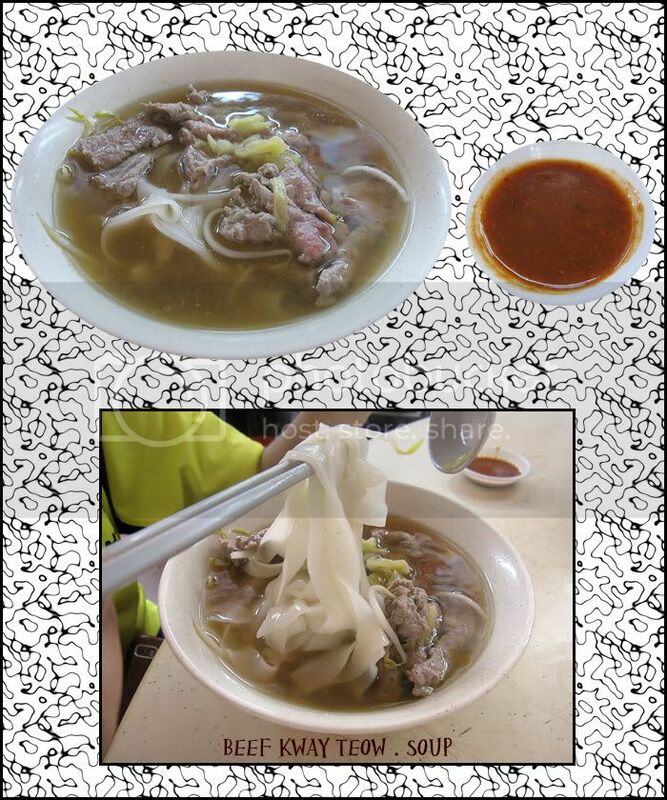 What so special about this Teochew style beef noodle here at Changi V ? The surprise is in the gravy ! The thick starchy sauce has shreds of stewed beef, extremely good value. For a $4 servings, you get generous amount of tender beef slices cook to the right texture top with yummy salted veggies and greens. The sweet beef-rich gravy simply delicious ! What's best, it comes served with "chin-jia-lok" ... am drooling as I am typing this out. Don't like it dry, the soup version will not disappoint you. The broth was full-bodied but not overwhelming. It was also oil-free with the "oil" being spooned out. I have eaten it at least 5 times since I first tasted it in November. The beef balls were big and tasty with a bouncy texture as you bite into it. You have to try it to believe and fall in love with it. For me ... I'll need a good bowl of beef kway teow dry with another serving of beef soup. What makes me love this kway teow so much ? They uses the fat width kway teow instead of the thin kway teow. Brings back my teengae memories of sharing a bowl of beef noodles with my Bobby.